Read the Clover Hills Dental Blog for advice, tips and important information from our Surrey dentists about your dental treatment options, and maintaining your oral health. Those who suffer from sleep apnea experience frequent pauses in their breathing during sleep. Here is a brief explanation of the causes of sleep apnea. Dentures can sometimes become loose and stop fitting as well as they did when you first got them. Here's a little about why and what you can do about loose fitting dentures. There are multiple steps to the dental implant process which means that more than one healing stage may be needed. Here's a little about what you can expect. When you suffer from sleep apnea experience pauses in your breathing while you are asleep; in short, you’re having brief bouts of suffocation. Sleep apnea can lead to a wide range of serious health problems if left untreated. If you'd like to do a better job flossing, here are some tips to help you improve your flossing technique. Are you considering purchasing an electric toothbrush? 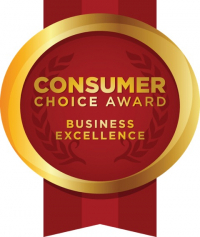 Here are some tips from our dentists on how to choose the best electric toothbrush for you. 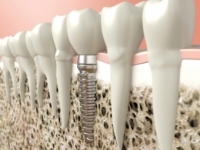 Patients often ask us if dental implants will feel like their natural teeth. Implants are a popular tooth replacement option because they give wearers a very natural look and feel. But how natural do they really feel? Invisalign’s main benefit is that it’s almost invisible when worn, and this make it the ideal orthodontic treatment choice for celebrities, who are almost constantly in the limelight. 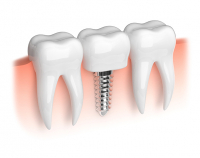 Dental implants are a type of dental restoration that permanently replaces missing teeth. Dental implants look, feel and work just like natural teeth, and with proper care, the can last for decades. If you are scheduled to undergo dental treatment under sedation, here’s how you should prepare for a safe and successful appointment. Anxiety and fear around visiting the dentist are very common. Our Surrey dentists offer advice and tips to help you manage your dental anxiety. Sleep apnea and snoring are two different problems, although they do have several similarities. Here, our Surrey dentists explain how you can tell the difference. Sedation can be a very useful tool when it comes to helping patients with special needs undergo dental treatment. At Clover Hills dental in Surrey, it's our mission to make sure that each of our patients receives the care he or she needs, safely and comfortably.